After improving methodology and adapting this model to the Georgian context and reality, 2017 local elections were the first elections when expert polls were conducted to forecast the outcomes. 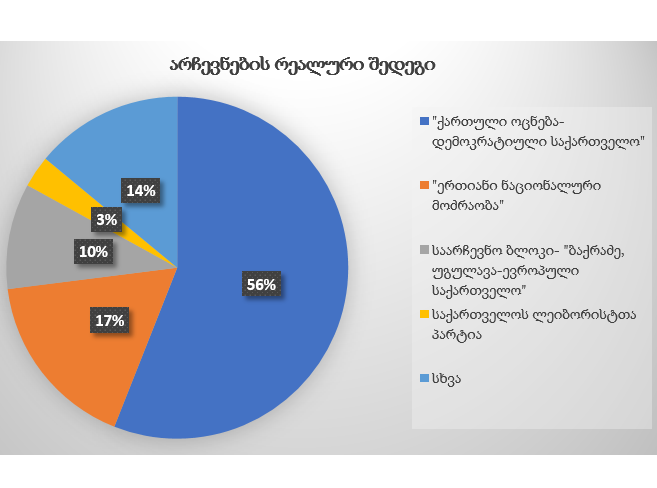 Based on the preliminary developed pre-election questionnaire, GIP collected estimates from 30 Georgian and international experts and engaged observers. 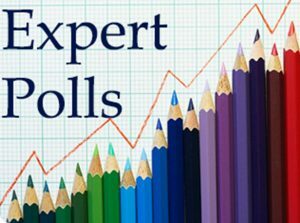 Conducted expert polls provided a high level of accuracy in predicting the results as well as voters’ turnout in local elections. 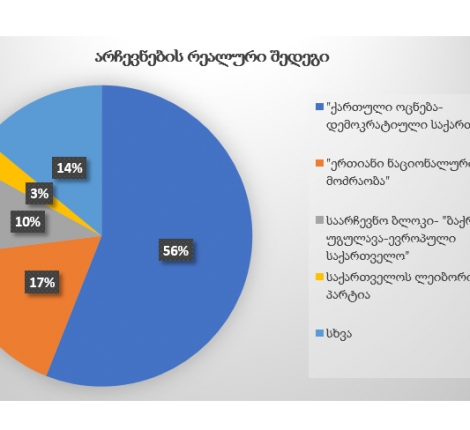 Expert polls reported 48 percent of nationwide votes for Georgian Dream, while the final election result was 56 percent (it is worth mentioning, that surveyed international experts estimated 54,5 percent for GD while Georgian experts – 41,4 percent). The surveyed pundits correctly (with 100 percent accuracy) predicted both a second place for the United National Movement (UNM) in the local elections and a percentage of votes received by them (experts forecasted 17 percent of votes for UNM, and the final election result is 17 percent). 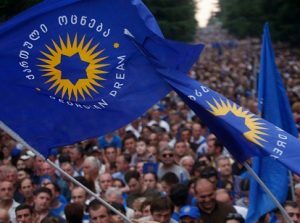 With regard to the election block “Bakradze-Ugulava-European Georgia” a prediction from experts was almost exact to election. According to the surveyed pundits this block would receive 9 percent of countrywide votes, while the final election outcome is 10 percent. As for the election block „David Tarkhan-Mouravi, Irma Inashvili – Alliance of Patriots of Georgia“, in this case as well, experts with 100 percent accuracy foresaw the election result. When it comes to the “Labour Party of Georgia”, a percentage of votes received by this party was presumed by surveyed pundits with just 1 percent margin for error (expert polls predicted 4 percent, while the final election result is 3 percent). High accuracy in forecasting the nationwide voters’ turnout is also visible. 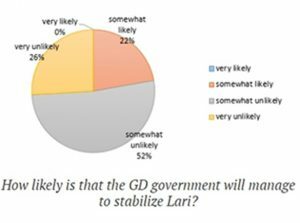 According to the GIP’s expert polls surveyed pundits estimated approximately 43 percent of voters’ turnout, while the final election outcome is 45 percent. High level of accuracy is provided when it comes to predicting the winner of the Tbilisi mayoral elections. 97 percent of surveyed experts estimated that Kakha Kaladze would become the mayor of Tbilisi. Notwithstanding correctly predicting the winner of the mayoral race, a necessity of the run-off for deciding the name of capital’s next mayor was missed by the majority of experts. In sum, it can be concluded that the expert polls correctly (with 100 percent accuracy) forecasted final election results with regard to the percentage of votes received by opposition parties. When it comes to the votes received by government party there was a 7 percent average error reported by the surveyed pundits, while in case of taking into consideration estimates from only international experts there is a margin of just 1,5 percent. 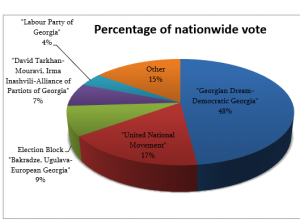 With the support of the National Endowment for Democracy (NED), Georgian Institute of Politics continues surveying local and international experts and engaged observers via expert polls and collecting estimates about the ongoing political processes in Georgia.